Satin Elasticated Frilling 21 inches wide. 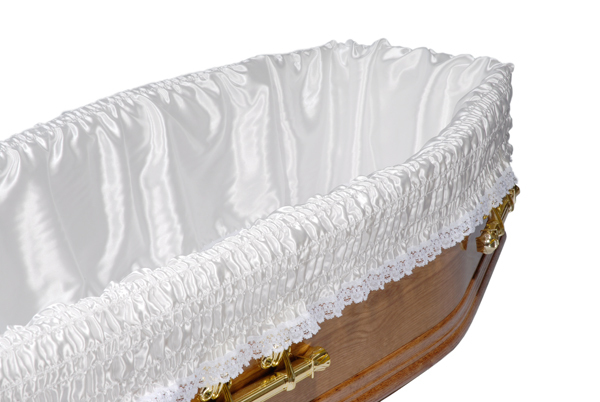 One size to fit all coffin sizes. The main body of the frill will hang inside the coffin whilst the remainder will hang on the outside. White, Pink, Blue, Cream, Navy, Maroon, Oyster, Red, Peach, Silver/Grey, Lilac, Mint Green and Bottle Green. Taffeta Elasticated Frilling 18 inches wide. 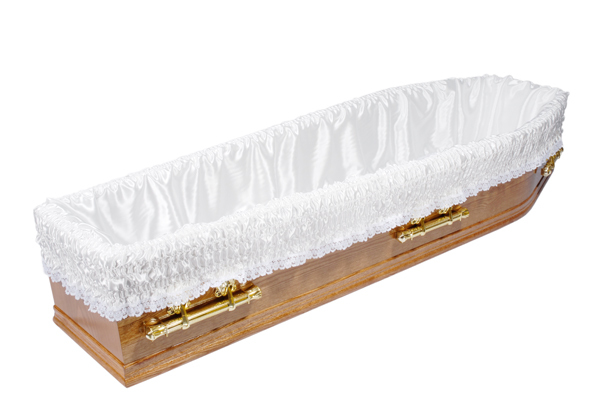 One size to fit all coffin sizes. The main body of the frill will hang inside the coffin whilst the remainder will hang on the outside. White, Pink, Blue, Cream, Navy, Maroon, Oyster, Peach, Lilac, and Bottle Green. Satin Elasticated Frilling 18 inches wide. 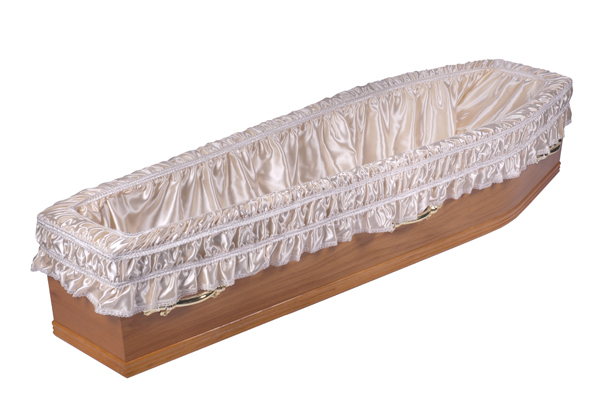 One size to fit all coffin sizes. The main body of the frill will hang inside the coffin whilst the remainder will hang on the outside.